War is still coming to northern Israel, the End Game is still on. In the wake of Donald Trump’s “Proclamation on Recognizing the Golan Heights as Part of the State of Israel” we have witnessed history. Since taking office, Donald “Cyrus” Trump has moved the US Embassy to Jerusalem, proclaimed Jerusalem as the Capital of Israel, and recognized the Golan Heights not as an occupied territory but as a part of the State of Israel. But what you don’t hear today is any talk of the 2014-2015 blood moon tetrad which occurred on Jewish holy days and explicitly pointed to a sovereign land grab by Israel, exactly what has occurred since the 2016 Presidential election. 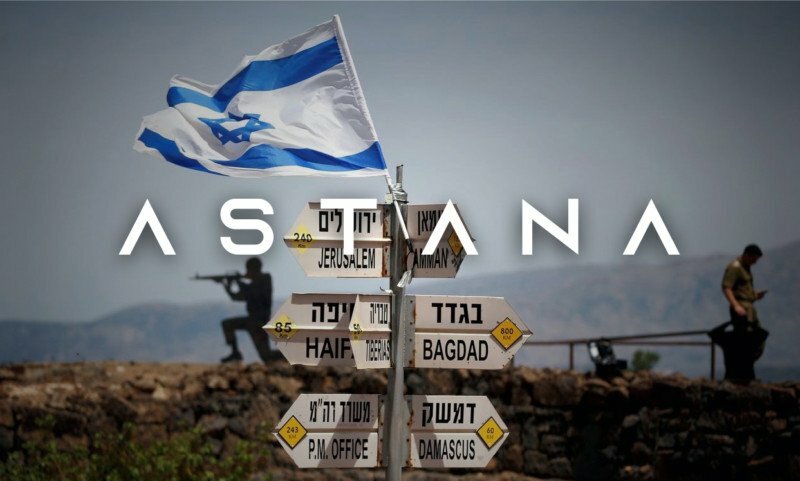 As Israel expands their territory to the north, in the highly contested Golan, now is a good time to take a look at Astana. Specifically, the Astana trio. It was the meeting place of Turkey, Russia and Iran in 2017 & 2018 that developed into what is known as the Astana Accord. 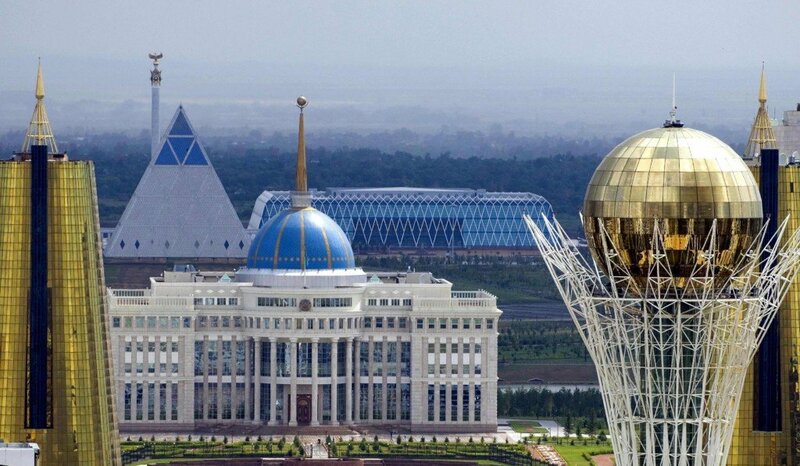 In the Palace of Peace and Reconciliation in Astana, Kazakhstan, a pyramid in the line of sight of other occult obelisks, the top three nations prophesied to come against Israel after being resettled from war formally aligned to manage the situation in Syria and their future in the Levant. 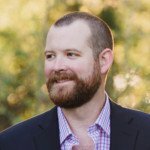 Largely under the radar of leadership from the west and covered by cultural noise, a coalition aligned and formed with biblical significance and potential biblical timing. But to unlock the power of the event you need to leave the noise of the crowded room, away from political and social unrest, to the stillness and perspective of the watchtower. Historic events do not all seem historic in real time. This is even more true in the age of information and disinformation. People are eating and drinking, marrying and being given in marriage, and the concerns of life dull the senses, entertainment steals our attention, yet right before our spiritual eyes could be something of wonder. How Astana rose to power and prominence is a tale of western will mixed with political, occult agenda. From 1945 to 1987, Americans were born into a Cold War. Mutual Assured Destruction through the advent of nuclear war at the end of World War II brought about the necessary tension to place actionable power of mediation into the hands of a neutral and newly formed governing body, the United Nations. For the first time in history a centralized governing body had the leverage they needed, a necessary element that the League of Nations lacked. This geopolitical paradigm shift featured McCarthyist witch-hunts, backyard bomb shelters and then ultimately the collapse of communism. From the Reykjavík Summit and the Intermediate-Range Nuclear Forces Treaty to the fall of the Berlin Wall, the shredding of the Iron Curtain, and the end of the Cold War, communist stronghold was defeated. On December 26, 1991 the Soviet Union finally dissolved officially granting self-governing independence to the Republics of the USSR, Kazakhstan being one of them. But the dissolution of Cold War birthed hot war and this time for the Levant. “Now, we can see a new world coming into view. A world in which there is the very real prospect of a new world order. […] The Gulf war put this new world to its first test”. Fast forward to 2001 and 9/11, the US War in Afghanistan, Arab Spring, ISIS, and the rise of Erdogan in Turkey and you have the formation of the Astana trio in one of the cities birthed from the fall of the Iron Curtain, Astana, Kazakhstan. What was once viewed as a distant possibility is now present day reality. The powers of Turkey, Russia and Iran are aligned, and aligned as sovereignty over the Golan is passed on to Israel. The question is, how will the Islamic world respond? Will they take it sitting down or will they stand up? Will Russia, Turkey and Iran lead the charge? Time will tell and that is what I will be watching. When I took the step in 2015 to write my book, End Game, I knew exactly the risk I was taking on. I was willing to put myself out there and say what needed to be said. It was less about prediction and more about a wake up call. That times were ripe for prophetic fulfillment in Israel, for a land grab, for prophetic war. Since then, several things in my book have come to pass. Even though we have not experienced a large scale war in northern Israel against the Ezekiel 38-39 cohort those pieces, the Astana trio and Israel’s sovereignty in the Golan, are in place. We are still on that trajectory. Here is a list of items, bullet points, that my book stated in 2015 coupled with what happened from 2015-2019, where we stand today and where we appear to be headed. Whether this just be another round of birth pangs or the beginning of labor and delivery, these are green shoots on the fig tree and they are worthy of our attention. Bitcoin > Bitcoin and cryptocurrency were detailed in Chapter 2, the importance digital currency plays regarding the new financial system and coming global paradigm shift in currency. This was before Bitcoin’s parabolic rise. Although volatile, it is a decentralized ‘one world’ currency and unstoppable unless the world unites against it. The Rise of Turkey > End Game predicted the rise of Turkey before the coup attempt of 2016 which bolstered the position of Recep Tayyip Erdoğan creating a resurgence of the Ottoman Empire mindset in Turkey, a spiritual awakening with the goal of recovering Palestine. 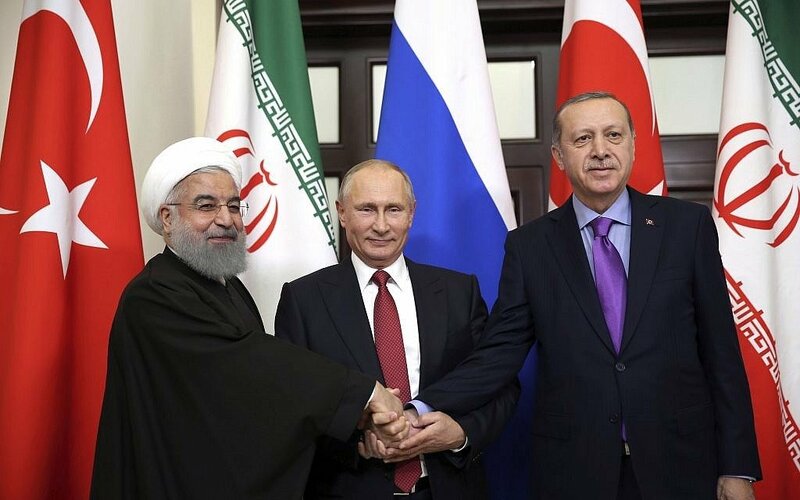 The Turkey, Russia and Iran Alliance > End Game stated that ISIS was merely a catalyst to begin forming the alliance mentioned in Ezekiel and that we would see this formal alliance of a resurgent Turkey, Russia and Iran within a specified window. This preceded the Astana Accord of 2017 and the formal Astana trio. Jerusalem > Follow up to End Game would cite the 1995 Jerusalem Embassy Act, pointing to the movement of the US Embassy to Jerusalem. President Trump recognized Jerusalem as the capital of Israel on December 6, 2017. His proclamation occurred 70 years after the UN resolution of 1947, known as UN General Assembly Resolution 181, and was exactly 100 years after the Balfour Declaration, which is also detailed in End Game. The President has since relocated the US Embassy from Tel Aviv to Jerusalem. The Golan > Citing the 6 Day War, Donald Trump signed the “Proclamation on Recognizing the Golan Heights as Part of the State of Israel” giving US recognition of sovereignty over the Golan to Israel. End Game specifically mentioned next stage fulfillment of the 6 Day War and the Golan as a next step take over, potentially catalyzing the prophesied war in the north. If Trump truly is a ‘Cyrus’ he will declare that the Temple be rebuilt in Jerusalem. But that presents a very real danger for Christians yoked to worldly politics. Any movement towards the restoration of the rabbinical system, of the old sacrificial order, is an abomination in and of itself. The proclamation of the finished work of Christ on the cross is our mandate. Not to help restore the Temple or pave the way for the Jewish moshiach, or to elevate an unregenerate Jewish state, but to elevate Christ and His finished work, to lead both Jew and Muslim to Christ. If we continue on this path we might very well find ourselves in an ecumenical system void of any truth but one of worldly adherence to a world leader who rises from Jerusalem. Be this a test or the real thing, I pray that we pass the test and choose Christ over worldly allegiance to a pagan order.